Soaring Coach is a piece of software I’m developing during Makerdays (our quarterly innovation time) at Polymorph. It aims to help newer pilots develop the skill and confidence to go flying cross-country more often. The club-owned glider I typically fly, which is about 25-35 years old, can easily sustain a glide angle of 1:30. That is, for every meter of altitude lost, 30 meters of distance is covered. Newer, more modern gliders can reach slopes as shallow as 1:60! This means that with a mere 500 meters of altitude in hand, I can happily fly along for nearly half an hour. It also means that if I’m flying efficiently, I need a relatively small amount of energy input to sustain level flight, or even climb. On the ground we experience air movement as horizontal at all times, mainly because the ground is very much in the way of any vertical movement. Just a little ways off from the ground though, there are all sorts of ways in which air moves vertically. See here and here. Therefore, if a glider pilot can predict well enough where the rising air will be and stay in it for enough of the time, they can stay aloft indefinitely, and thus cover any distance. People fly 100’s of kilometers at a time, all the time – as an example, look here: http://www.onlinecontest.org/olc-2.0/gliding/club.html?cc=253&sc=&st=olcp&d-4364432-s=3&rt=olc&c=C0&d-4364432-o=1&sp=2016. There are two kinds of soaring: local and cross-country. On a “local” flight, you stay near the airport and there’s no risk of not being able to get back to the runway. Cross-country soaring is where you go out of range of the airport, i.e. you HAVE to find rising air to get back to the runway – if you can’t, you have to be prepared and able to handle the situation by picking a safe field and land the glider in that (recently ploughed or planted fields are good, roads are bad – vineyards are terrible). You can probably imagine that going cross-country takes a fair amount of confidence in one’s own skill, both to find and exploit rising air as well as to land out if needed! Soaring Coach… aims to help newer pilots develop the skill and confidence to go flying cross-country. The way cross country soaring works is that before leaving the ground, the weather is considered with some care and a specific task is set based on the predicted weather – normally consisting of a set of turnpoints in the form of GPS co-ordinates. Lots of detail is available here. 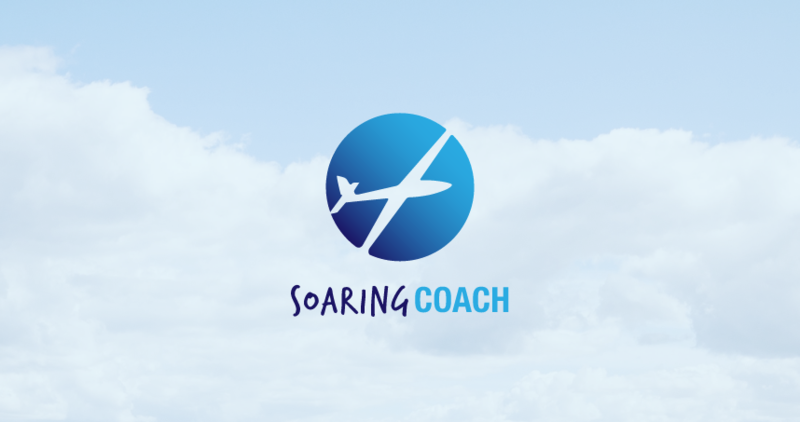 How SoaringCoach works is that after each flight, the pilot will upload their IGC file (which is just a GPS trace of the flight with fixes typically 1 or 2 seconds apart). Soaring Coach will then analyse the file and tell the pilot where they seem to be flying least efficiently. For example, it is possible to work out whether a pilot is flying too fast or too slowly between thermals – i.e. they’re misapplying MacCready theory, thereby throwing away energy that could have helped them complete the task faster. Essentially, the software provides a “mirror” that lets the pilot look at their own performance, and decide what aspect of their flying most needs improvement. Having a human coach around to help interpret the results into practice drills or some other kind of remedy will then be hugely helpful. …the software provides a “mirror” that tells the pilot what aspect of their flying most needs improvement. Set up toolchain. I’m not a developer in my day job at Polymoprh, so I had to get and install Eclipse (which I’m familiar with – I do have history as a developer), Sourcetree (which I’m not familiar with), Jenkins etc. As a pilot, I want to see how long it takes me to complete each turn in a given thermal, vs. the average of the thermal and the average I achieved in the flight as this will tell me whether I’m banking steeply enough to get into and stay in the strongest part of the thermal. As a pilot I want to see the total distance for my flight so I can verify that I uploaded the right file. Point out when the pilot seems to be making centring maneuvers while thermalling, and whether or not these seem to be based on the “check-twice” rule. This is valuable because inaccurate / unintended adjustments are a major reason for losing track of where a thermal is, and therefore failing to exploit the lift properly (or at all). I got about halfway through implementing this during the allocated 2 days in April. Besides using Polymorph Makerdays to do the work of implementing the software, I’m participating in the Condor-Based Thermal & Cross-Country Course, a simulator-based course to help my own real-world flying. This course also provides useful opportunities to test the software. Wrap up implementation of the half-done feature. Clean up the UI. Currently Soaring Coach is a web page that accepts the upload of an IGC file and spews out a long string of unformatted text, making it unusable for anyone but myself. Deploy it on AWS so that it’s available for others to play with, as well as making it easy for myself to upload an IGC file & share the results with my cross-country coach.